Quote Roller Integrates with Google Drive + Other Updates! The updates just keep on coming! This week, we present you with an integration with Google Drive, a new and improved QnA FAQ page, Copy as New proposals, and so much more. Have a question? Of course you are free to contact our customer success team via the app Help/Support or email info@quoteroller.com but now we’ve updated a tool we hope you’ll find handy: http://www.quoteroller.com/supportfaq where you can search for answers to your burning questions, including the ever-popular How to Set Up a Custom Domain. We know you want to organize your files and keep them all in one place, especially within your Google Drive. Now you can enable your Google Drive integration under Settings -> Integrations. 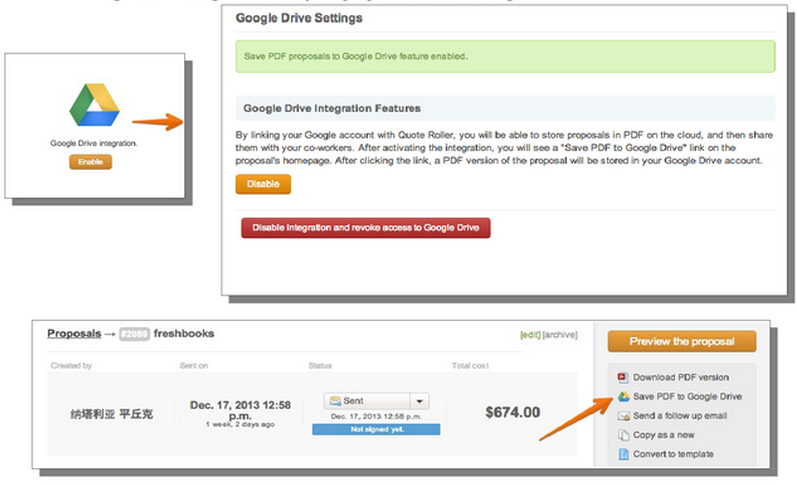 Then, you can save each of your proposals by Save PDF to Google Drive. And don’t forget about our Google Chrome Integration! 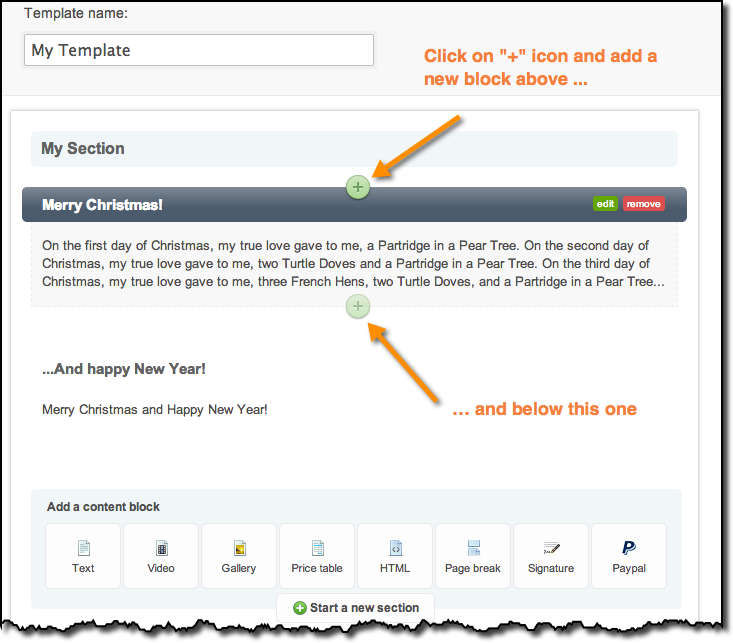 Click the Plus Sign above or below to make organizing your content easier. You can still drag and drop as well. We know you want to reuse winners! Now, accepted proposals cannot be edited. To easily reuse a proposal, now you can copy it as new, no longer risking resending a signed proposal or breaking a deal. When you’re all set to create and send a proposal out, no more do you have to go through the fuss of opening your Contacts to update client info. Not only can you add a new contact right there, but we’ll now let you know if your contact is missing an email address and you can add it right there.